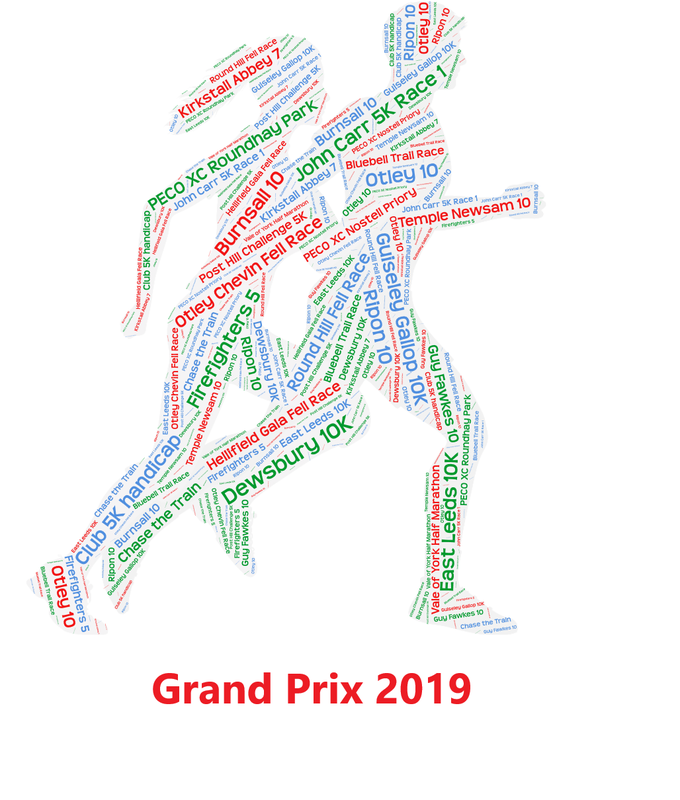 For the 2019 Abbey Runners Grand Prix the rules are the same as last year. Additionally this year if you complete 3 target parkruns during between January and November 30th you will be rewarded with an additional 50 points. Continuing on from last year an added incentive is that all those who complete the minimum requirement of 4 short races, 2 medium races and a long run and who also compete on 3 of the 4 terrains will receive an exclusive Abbey Runners Grand Prix 2019 memento! Do my best 7 races count regardless of distance? I’ve only managed 4 short and 2 medium races. Does that mean I don’t qualify for the Grand Prix because I didn’t complete a long race? You still need to enter a cross country race or fell race to qualify for the full points available. In this instance we would only count your 6 best scoring races. I have run 10 races on the grand prix calendar across road, trail and cross country. However my best scoring races are only road and trail – does this affect my overall score? I have completed a long race. What do I need to do? How are the ‘Open’ and ‘Age Graded’ scores calculated? For age graded scores we use the same times in seconds as above but we also need to calculate the age grade factor for your age at the specific race distance. For this calculation we use http://www.howardgrubb.co.uk/athletics/wmaroad15.html to work out the age performance factor using the 2015 WMA tables. Aren’t fell races difficult? Do I need extra kit to enter a fell race? They can be difficult but like cross country they are open to all abilities and you will find runners of the same pace around you. We are also hoping to do recces of the fell race routes before race day. What do the fell categories mean?